Mrytunjaya is the manifestation of Lord Shiva as conqueror of Death. Worship of Maha Mrytunjaya through 1000 Mantra names. Kavachas and Hymns bestow happiness and success. Om Jum Sah Ham Sah Protect me! Sah Am Sauh Jum- The bija is OM. The shakti is Jum. Paramashani, the lynchpin is Sah. This mantra is the wish fulfilling gem of the powerful Lord. The Maha Mryunjaya Mantra is the king of all mantras and is the most powerful mantra. 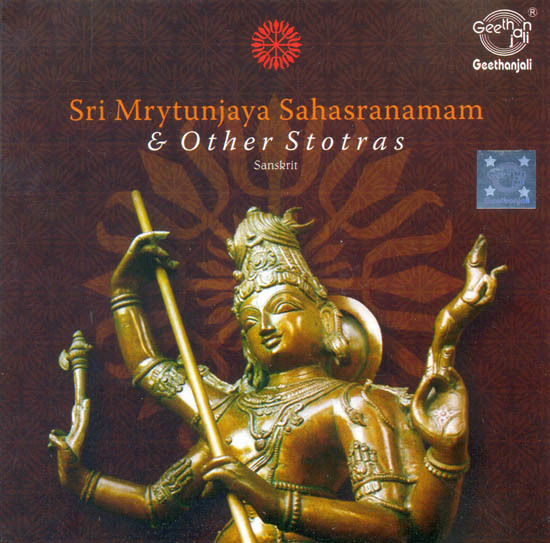 Om Triyambakam Yajaamahe Sugandhim Pushtivardahanam Urvaarukmiva Bahdhanaat Mrtyormukeseeya Maamrtaat. The Maha Mrytunjaya Mantra connects us with the source of all creation, dissolving us of our negative energies that surround or live within us as it puts us in touch with the omniscient omnipotent and omnipresent healer and creator. Chanting is a very special means of realizing divinity and that it affects and influences our nervous system enhancing the potential of our physique, mind and brain.